The development of Alzheimer’s disease has been attributed to the deposition of an abnormal protein called beta-amyloid in the brain, which ignites a series of pathologic events that culminate in brain atrophy and memory loss. Amyloid deposition induces pathologic alterations in the supporting glial cells of the brain, called astrocytes and microglia. These cells that normally participate in maintaining physiological homeostasis may become toxic to their environment and promote the death of neurons. The disease process is affected also by multiple environmental factors, such as dietary behavior, physical and cognitive activity, cardiovascular risk factors, and others. There is a huge variance in the time gap between the appearance of pathological changes (accumulation of amyloid in the brain, reactive gliosis) and the development of the actual clinical disease and brain atrophy. For example, it was found in patients with a genetic form of the disease that 15 years may pass before amyloid accumulation is manifested clinically in dementia. Also, in sporadic Alzheimer’s disease, there is large variability, where some people will develop dementia rapidly, whereas others seem to be “protected” from the progression of the disease. Such individual differences raise the notion that additional players may be involved in maintaining the brain’s health in spite of the impending insults. We suggest that stem cells of the brain may take on this role. Throughout our lives, there are considerable amounts of stem cells that reside in the brain. It is estimated that 5-7% of the brain’s cells are various types of progenitor and stem cells. The initial concept of “stem cells” rose from studies on how organisms and their tissues develop. These showed that fetal tissues and organs develop from primordial stem cells that can divide repeatedly and differentiate into mature cells in order to generate the repertoire of specialized cells in the various tissues. These insights led to the notion that reactivation of developmental programs may underlie regenerative processes by which stem cells might repair the adult tissue following injury. However, it does not seem very economic that such large numbers of stem cells will reside in the tissue without performing any other duties and just wait for an injurious event to occur to then respond and commence repair processes. The economic conduct of nature suggests that these cells should probably have additional functions. Clues for the functional importance of resident stem cells came from studies that indicated the existence of therapeutic properties by transplanted stem cells in various models of brain diseases. These experiments identified previously unknown properties of neural stem cells, by which they modulate inflammatory reactions in their environment and protect neighboring brain neurons from death. The apparent therapeutic benefits obtained by transplanting neural stem cells to the brain highlighted the possibility that resident brain stem cells may take an active part in maintaining brain homeostasis by modulating local inflammatory strains and protecting it from injurious insults. How does one approach this hypothesis? One way is to examine whether a failure in the brain’s resident stem cell function is associated with the degenerative process. With this notion in mind, we examined the functional phenotype of stem cells from mice carrying human genes causing familial Alzheimer’s disease. These mice develop typical pathological changes of Alzheimer’s disease, memory problems and eventual loss of neurons in the brain. Indeed, when resident stem cells were isolated from the brains of Alzheimer’s disease mice and studied in culture, they exhibited a dysfunctional phenotype. Specifically, they grew slower than normal, they lost their ability to inhibit inflammatory cells and lost their supportive effect on neighboring neurons. Moreover, when their response to insults was examined within the brain, we found that their ability to migrate towards the site of injury and their ability to self-renew following injury was defective. Importantly, the defective performance by resident stem cells of the brain became apparent at a critical stage, when amyloid had accumulated in the brain, supporting glial cells were activated to become toxic, but before there was actual brain atrophy. At this stage, the protective effect of local stem cells should be most important, and if it fails, then injury and loss of brain neurons occur. It seems, therefore, that functional decline of resident stem cells of the brain precedes and enables the development of brain injury, inflicted by amyloid deposits and their consequential pathological changes. Thus, loss of stem cell function is not the primary cause of Alzheimer’s disease but a factor in facilitating the disease process, and transforming pathological changes into a clinically evident condition. The optimistic side of the story is that stem cell dysfunction is not inherent, but rather acquired and is potentially reversible. This opens new therapeutic targets in Alzheimer’s disease. We should look for medications that not only remove the injurious insult (Amyloid deposits) from the brain but also such that enhance the brain protective mechanisms from such insults. 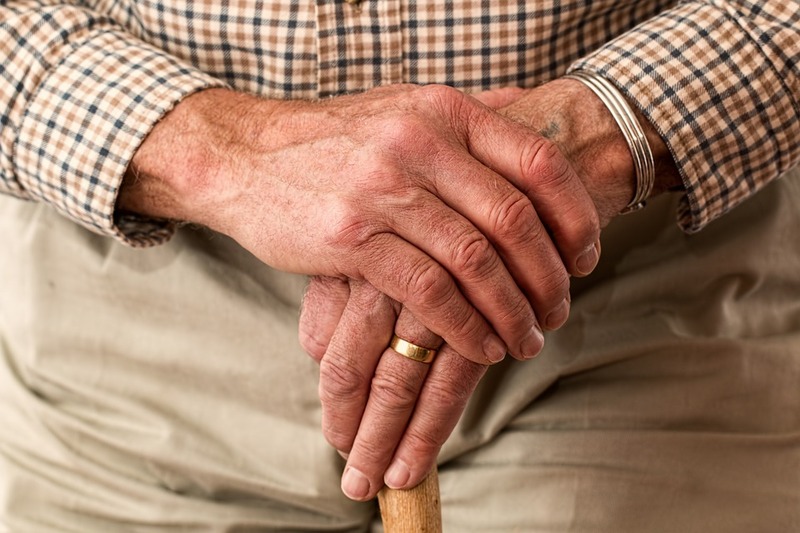 These findings are described in the article entitled Resident brain neural precursor cells develop age-dependent loss of therapeutic functions in Alzheimer’s mice, recently published in the Journal Neurobiology of Aging (Neurobiol. Aging. 2018 Dec; 72:40-52). This work was conducted by N. Fainstein, N. Dan-Goor N, and T. Ben-Hur from the Hadassah – Hebrew University Medical Center and Faculty of Medicine. 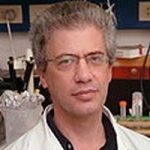 Tamir Ben-Hur is a professor at Hadassah Medical Center in the Department of Neurology. his research focuses on steam cells, Neuroimmunology, Multiple sclerosis, Nerve system regeneration, Retinoblastoma, Histiocytosis, Malignant tumors in young children.